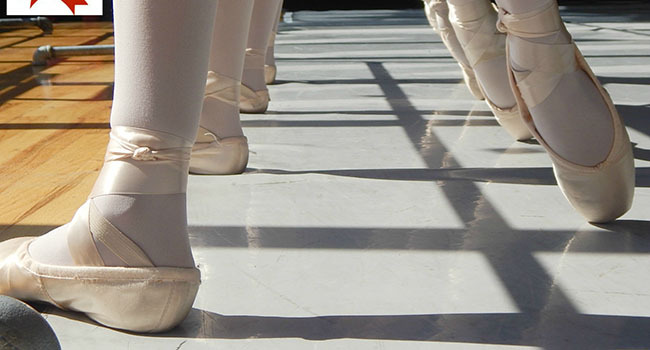 We offer leveled ballet classes for all ages. Our ballet curriculum is designed to build a strong foundation which is achieved through proper ballet vocabulary, repetitive movement, and artistic expression. We focus on discipline and technical development, conditioning and core strength, flexibility, coordination, and poise. Our atmosphere is nurturing to help build self-confidence and dance skills. We cater to the dancer who wants to pursue a professional career in dance as well as those that simply enjoy the physical benefits of and beauty of ballet. 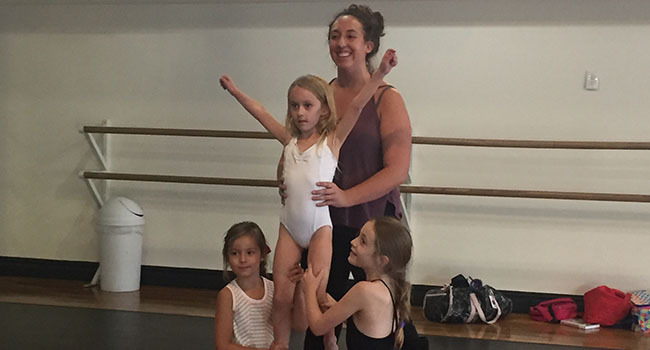 These leveled ballet classes are offered for ages 8 through advanced adults. Our Pre-Ballet classes are perfect for the little ballerina in your life! This class is dedicated to the introduction to the classic discipline of ballet only. Our goal is for children to experience the joy of movement through dance. Focus points include class etiquette, musical rhythms, basic ballet positions, coordination development and graceful movement, stretching, strengthening movements, using creativity and imagination. Classes occasionally include reading books about dance, showing a short video of a ballet and other activities related to dance. These classes do have a dress code and hair must be worn in a bun. We offer pre-ballet 1 and 2 for ages 4-6 and 6-8. All leveled ballet classes will need pink leather ballet shoes. We sell the appropriate styles in our dancewear shop and prices range from $18.50 to $27.00. If given the approval of our ballet director, level III students and higher will need pre-pointe or pointe shoes as well. Students will need to be sized specially for these shoes and we can help with arranging this process. Hair: All ballet students must wear their hair in a slicked-back bun. If the dancer’s hair is too short for a bun, it will need to be pinned back so it stays out of the face. Hip-hop is a fun and upbeat dance style that celebrates urban movement and multiple dance genres and cultures. Teachers use current music and accessible choreography to get kids and adults out of their comfort zones and moving freely. Hip-hop unites its participants with its easy-going and fun vibe. Hip Hop/Tumbling is the perfect mix of hip-hop and basic tumbling techniques. Teachers use an upbeat approach to ensure your child will learn and build self-confidence. Each class consists of a warm-up, stretching, across the floor, a combination, and safe training for basic tumbling skills. This is one of our favorite classes for kids! The dress code for hip hop & hip hop/tumbling is very simple. 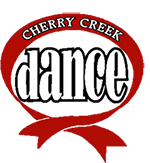 Students must wear black shorts, capris, or pants, with a Cherry Creek Dance shirt of their choosing. Please, no jeans. Shoes: Sneakers are perfect for these classes. 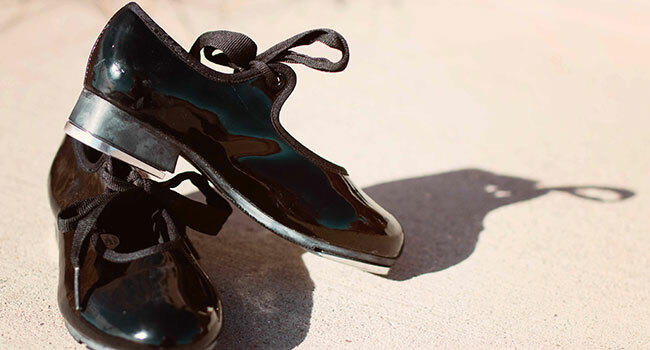 If you plan are participating in the recital, you will need black jazz shoes. Jazz shoes are available to purchase in our dancewear shop, with prices ranging from $32.50 to $34.50. Jazz classes are very high energy from the music to the movement. They have a strong emphasis on technique, stretch and strengthening, and style that is influenced by music, cultural and passion. We offer jazz classes that range from traditional east coast NY, classic Broadway style to the west coast- LA style of street and commercial jazz. These classes are offered for age 6 through advanced adults. Students must wear a black leotard with black shorts, capris, or pants. All leveled jazz and musical theatre classes will need black leather jazz shoes. They are available to purchase in our retail shop and cost approximately $35.00. Please wear your hair in a ponytail. If the dancer’s hair is too short for a pony, please have it pinned back and away from the face. Combination classes are one-hour long and include 30 minutes of tap and 30 minutes of ballet. These classes are a great way to learn about dance, music, movement, interacting with peers, following instruction, and it is all done in a positive and fun classroom environment. Offering classes for ages 2-3, 4-5, & 6-9 years old. Anything that is comfortable and easy to move in is perfect! We ask that little ones are not in jeans or dresses. A leotard is highly recommended but not required. We do require that your dancer wears tap and ballet shoes and he or she needs to have their own shoes. We sell them here at the studio and they cost $21.75 plus tax for tap shoes and $18.50 plus tax for ballet shoes. The color of the shoes does not matter for class however, if your dancer is planning to participate in the recital, there will be a color requirement for the performance. Girls will need black tap shoes and pink leather ballet shoes and boys will need black tap shoes and black leather ballet shoes. Tights or socks are required as we will need to change your dancer’s shoes halfway through class and this is hard to do with sweaty feet. Please pull your dancer’s hair up and away from her face (if it is long enough). Code: All lyrical and modern students will need to wear a black leotard, with black shorts, capris, or pants. Lyrical students will need foot thongs. These cost $22.25. Modern students can dance barefoot. Hair must be pulled up in a bun or a ponytail. If the dancer’s hair is too short for a bun or a ponytail, it will need to be pinned back so it stays out of the face. Tap is a classic form of dance and our instructors love teaching it. Tap classes explore fundamental technique and terminology, with an emphasis on musicality and coordination. Our teachers will incorporate both classic tap and a more rhythmic style of tap in order to help students develop coordination skills and understand rhythms and synchronizations. We explore both the styles practiced by dancers like Fred Astaire, Gene Kelly, and Ginger Rogers to styles favored by dancers hoofers like Gregory Hine and Savion Glover. Tap will definitely give you a physical and mental work out. All lyrical and modern students will need to wear a black leotard, with black shorts, capris, or pants. Lyrical students will need foot thongs. These cost $22.25. Modern students can dance barefoot. Hair must be pulled up in a bun or a ponytail. If the dancer’s hair is too short for a bun or a ponytail, it will need to be pinned back so it stays out of the face. Musical theatre classes combine singing, dancing, and acting for that future star in your life. This energetic class combines basic jazz style technique with acting and vocals. Musical theatre is a great way to build confidence, self-esteem, and relationships with your fellow students. Students will learn choreography and lyrics to Broadway musicals and work on presenting those pieces with a confident stage presence. The dress code for breakdance is very simple. Students must wear black shorts, capris, or pants, with a Cherry Creek Dance shirt of their choosing. Please, no jeans. Hair: Must be pulled up and away from the dancer’s face (if it is long enough). Parent-tot is a nice way to introduce young dancers and their parents to the CCD staff and the studio. This is a 30-minute long class and focuses mostly on ballet. Dancers and their parents will work on basic stretches, ballet positions, and steps, movement across the floor, play a few interactive song games, and will roll on the mat! At the end of each class, every dancer will receive a reward for their class accomplishments. Anything that is comfortable and easy to move in is perfect! We ask that little ones are not in jeans or dresses. A leotard and a tutu always add to the fun and cuteness factor but are not required. We do require that your dancer wears ballet shoes. We sell them here at the studio and they cost $18.50 plus tax. Please pull your dancer’s hair up and away from her face (if it is long enough). 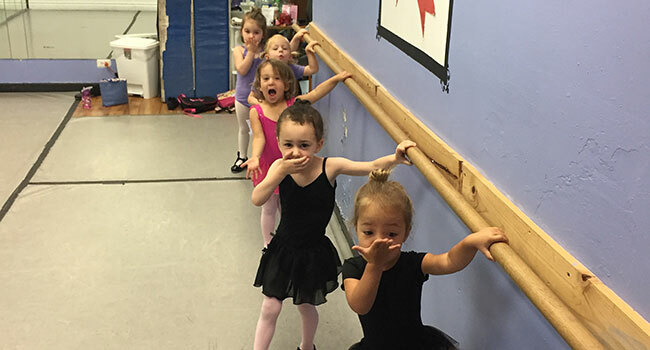 Tiny Tot-Tap is a class that was created for those students who have been in parent-tot for awhile, are wanting to transition into the tap classes, but still need some support from mom or dad. This is a 30 minute long class and focuses on tap technique with a parent or guardian in the room. Anything that is comfortable and easy to move in is perfect! We ask that little ones are not in jeans or dresses. A leotard and a tutu always add to the fun and cuteness factor, but are not required. We do require that your dancer wears tap shoes. We sell them here at the studio and they cost $21.75 plus tax. Please pull your dancer’s hair up and away from her face (if it is long enough). This class involves a full body warm up, intense stretches to improve flexibility, and strengthening work, all of which is needed for better control of a dancer’s body. After this floor work, we’ll work on leaps and turns in the center and across the floor in order to improve technique and personal style. These classes can be introductory to advanced and are really good for every level of dancer. Students must wear a black leotard with black shorts, capris, or pants. Black or tan leather jazz shoes are required and are sold in our retail store for approximately $35.00. Please wear your hair in a ponytail. If the dancer’s hair is too short for a pony, please have it pinned back and away from the face. Tumbling classes help students to improve strength, flexibility, and overall work ethic. In this high energy class, students learn proper and safe acrobatic and tumbling technique. This class is offered for three levels (beginning, intermediate, and advanced) and each level must be mastered before moving on to ensure the safety of all students and teachers. All tumbling students need to wear a black leotard with black shorts, leggings, or capris. No full-length pants. You will be barefoot in these classes. Please wear your hair in a ponytail. If the dancer’s hair is too short for a pony, please have it pinned back and away from the face. Our cheer/poms classes are geared toward those individuals wanting to be involved in a professional or scholastic dance team. This class will include a warm-up, across the floor, pom technique, and a combination. These classes have been designed to help you with your pom style dance technique and style. Students, young and old, can build self-esteem, lifelong friends, and a true love for dance.